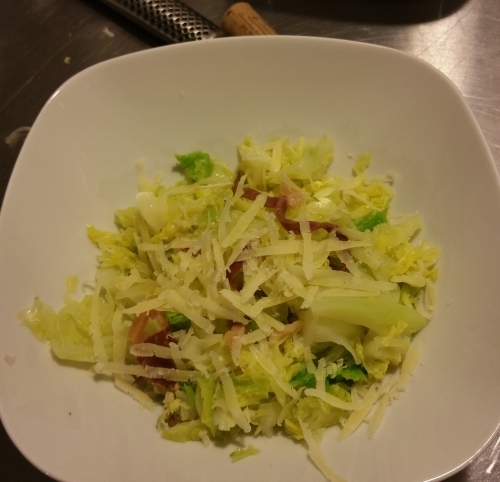 Savoy Cabbage is an under-rated veggie. I cook it in various forms. It is more elegant to boil it first for some minutes (I cut away the most hard pieces), You can panfried directly, but the taste will be very strong! If you have good aged cow cheese ( I hope "Gut Backensholz" delivers soon in Italy, grate it on this dish. Or try truffles as alternative.